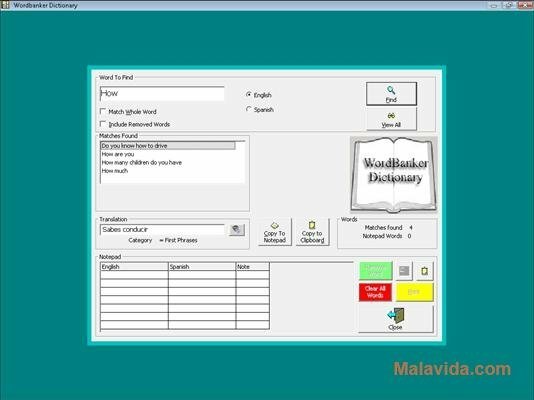 There are many programs to learn languages available on the current market, but one of the clearest ones that we have found until now is WordBanker. This program is designed to learn theme-based vocabulary, either for English people interested on learning Spanish, French, Italian, German, Chinese, Greek, Croatian, Portuguese, Russian or Swedish, or for native speakers of any of these languages who want to learn English. Thematic vocabulary with up to a total of 1,500 words and expressions. Time controller, to be able to know how much time you spend on studying. A dictionary for each language. Save words in the bank, in such a way that you will only have to study the words that you don't know. Voice recording to be able to check your pronunciation. The interface of WordBanker is very clear, and has been specially designed to occupy the full screen, in such a way that there is nothing that will distract you from your studies. 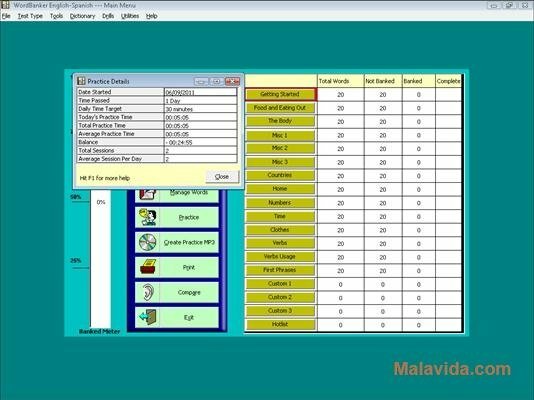 Therefore, if you want to have access to a program that is easy-to-use that will help you to learn languages, download WordBanker. The application requires an active Internet connection to download each of the language modules that you want to study. The trial version can only be used for 7 days. The trial version only includes 240 words.